In the last few years the amount of electronic data in high schools has grown tremendously, also as a consequence of the introduction of electronic logbooks, where teachers store data about their students’ activities: school attendance, marks obtained in individual test trials and the typology of these tests. However, all this data is often spread across multiple providers and it is not always easily available for research purposes. Our research project, named ELDM (Electronic Logbook Data Mining), focuses exactly on this information. In particular, we have developed a web-based system which is freely usable by school stakeholders; it allows them to (i) easily share school data with the ELDM project, and (ii) check the students’ very different learning levels. On the basis of data collected from adhering schools, we have applied data mining techniques to analyze all the students’ behaviours and results. Our findings show that: (i) it is possible to anticipate the outcome prediction in the first school months; and (ii) by focusing only on a small number of subjects, it is also feasible to detect serious didactic situations for students very early. This way, tutorship activities and other kinds of interventions can be programmed earlier and with greater effectiveness. This research is supported by Emilia-Romagna Assemblea Legislativa. 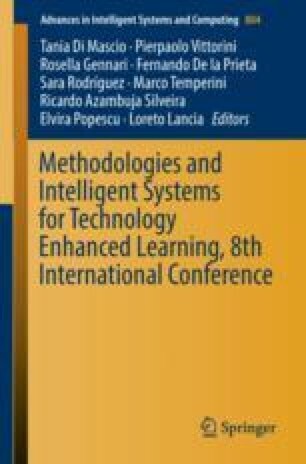 The authors, therefore, acknowledge technical support of the Spaggiari Group and to ARGO which have developed software procedure for extracting data from school databases. Special thanks to all the schools which have joined our research project.